Our fine lubrication device was developed to apply any fluid medium consistently on surfaces without the annoying haze that usually accumulates with nozzle systems. Due to the good, precisely repetitive adjustability, the device is suitable for many applications. The lubrication device works in a contact-free manner. This makes it possible to also lubricate sensitive or abnormal surfaces. Depending on the model, our fine lubrication device can lubricate from top to bottom, from bottom to top or on both sides. 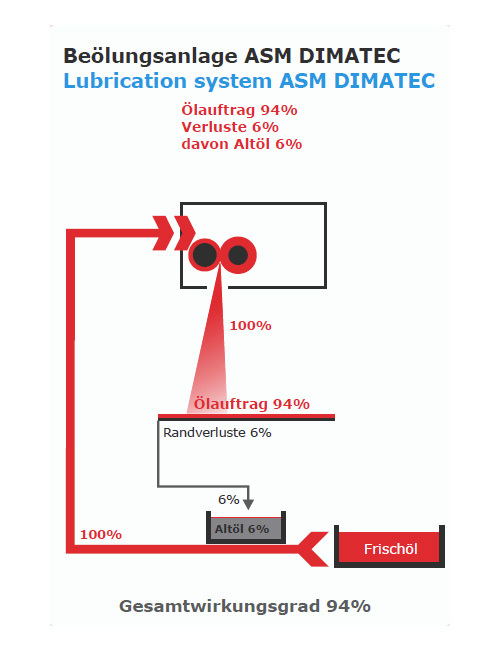 The lubrication units are presented in the lower areas as a basin in which a certain fluid level is maintained. A dosage pushes a defined amount of fluid to the brush bar from which the lubricant is sprayed. The fine lubrication device works in a contact-free manner. This makes it possible to also spray sensitive or abnormal surfaces. 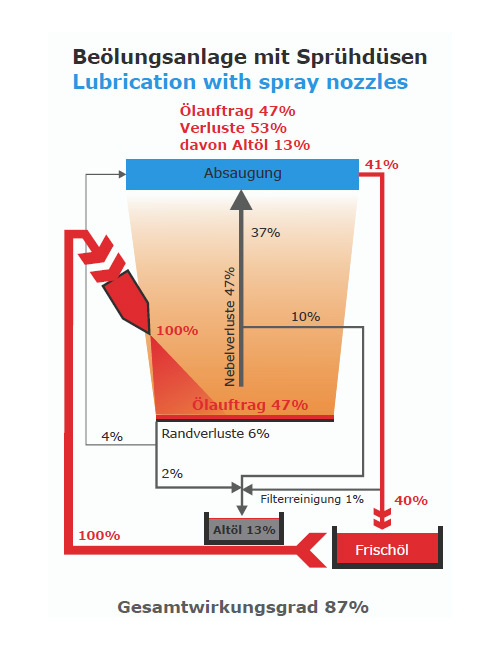 Depending on the model, our fine lubrication device can spray from top to bottom, from bottom to top or on both sides. The devices are designed to spray a width of 50 mm - 4,000 mm in intervals of 100 mm in each case. The fade-out of certain spraying areas (checkers) can be requested as an option. The lubrications device should, if possible, be arranged in close vicinity to the uncoiler. In the example shown, the lubrication is built into the end of the strip transfer cart. With an increasing coil diameter, the fine lubrication is sensor-controlled and is driven upwards with an arbor lifting motor. 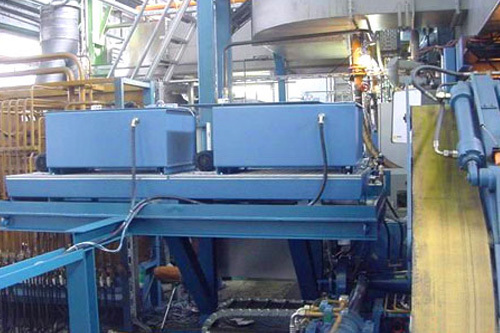 The device is capable of lubricating the slitting belt in various widths according to the customer specification in g / m². Several lubricant sorts can be used with this arrangement. The lubricant amounts, the lubricant temperature and the lubrication width are set on the operator panel. 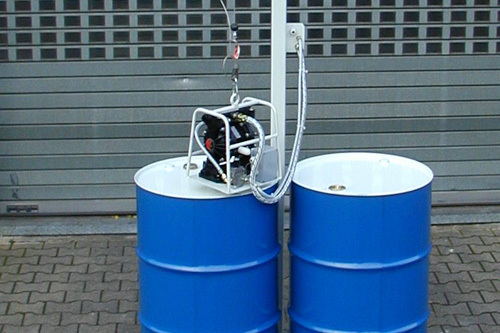 The lubrication device is built in a framework with the integrated tank. The tank is filled by an automatically functioning refill station. The spray width (board width) is set with the roller blinds. The sensor-controlled interval blind begins and ends the spray procedure such that the spaces from board to board remain free of lubricant on the transport belt. The lubricant temperature, the dosage amount in g/m² and the width of the roller blind are set with the main. 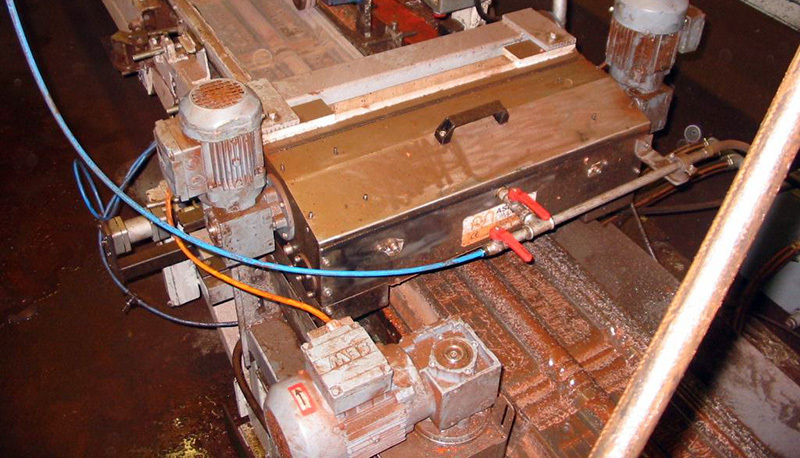 Fine lubrication devices are put to use in the vicinity of the board loader in front of the presses. These devices lubricate the entire surface boards from the top or from the bottom or from top and bottom or in the form of stripes or in sectional doses. The devices are built into drivable frameworks or directly into the board loading area. The roller blinds delimit the spray area while the pneumatically controlled sectional blinds can resemble the surface of a checker board. The sectional blinds can also be manually set (open or closed). The result is then a stripe-formed lubrication of the surface. The fine lubrication device is attached to roller stands such that they can be operated pneumatically in the work position or on standstill. The device is equipped with an automatic roll control for the spray width setting. 2 Sorts of lubricant can be made use of. The maximum reversing speed consists of 600 m/min and the dosage amounts lie between 0.5 – 3.0 / m². The lubrication device is installed with the integrated tank into a framework that is driven transversely to the process line. The coils can be lubricated in doses from the top or from the bottom, or from top and bottom. The spray width (coil width) is manually or automatically set with the roller blind before the lubrication. The lubrication devices work with different oil types. The device is with its ouil tank. Well dosed anti-cracking agent increases the quality of the roof tiles.